More and more, companies in both the public and private sectors are making vending machines an important part of their product distribution strategies. Vending kiosks enable products to be sold/dispensed in more locations at a lower cost than in traditional outlets where rent, restocking and staff costs have to be accounted for. There’s also strong advertising value because vending machines can be uniquely branded and are normally found in environments free from competitive clutter. In the UK, organisations from the NHS to regional transport authorities are turning to dispensing machines in order to save money, free up staff, streamline services and improve customer satisfaction. Councils and transport groups have turned to SMART Ticketing machines for example to encourage quicker public travel and A&E departments have rolled out dispensing machines to allow patients to access vital medical equipment or pay for prescriptions out of hours. Medi+ Vend: The Cammax Medi+Vend is an interactive telehealth service designed by clinicians for commissioners, providers and clients to provide easy access to sexual health information. 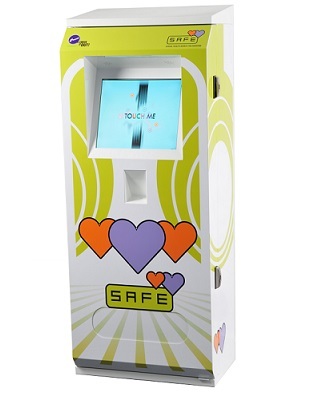 It is a touch screen vending machine which can dispense a range of products from Condoms, Chlamydia and Pregnancy Test Kits. The Medi+Venx can also be used to display a wealth of health promotion messages and signpost to a range of local services. The machine also collects anonymous data and provides high quality usage information to managers allowing for improved needs analysis, provision of real time performance and data planning. 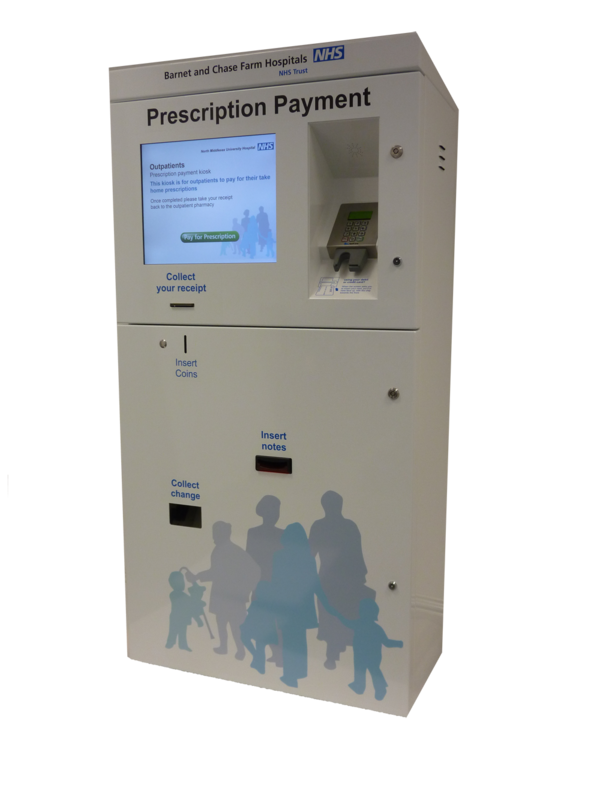 Prescription Payment Kiosk: Deployed by the NHS to ease the process of getting prescriptions to patients in busy A&E environments, the Prescription Payment kiosk is a transactional machine perfect for maximising space in busy NHS environments. The kiosk includes an integrated PC, 19″ Touch Screen and can be customised with various options such as unattended chip and pin, note and cash options. 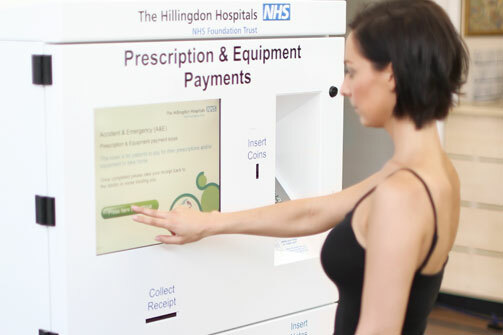 Prescription Payment kiosks also enable A&E departments to capture thousands of pounds in lost revenue by taking payment for prescriptions out of hours when they previously would have been issued free of charge. The kiosks have also been adapted to incorporate payment for a wide range of hospital services such as maternity scans, crutches and walking aids. 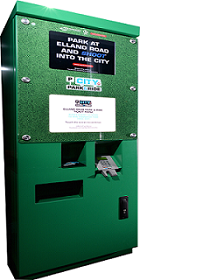 Outdoor/Indoor SMART Ticketing Kiosks: Popular with local government and transport authorities including Nottingham and York, these innovative ITSO SMART ticketing kiosks are designed to remove cash from ticket machines whilst enabling users to purchase tickets/top up existing travel cards via numerous payment options. The kiosks help to reduce queues and speed up boarding times, reducing staff costs and offering a secure round-the-clock service. Cammax SMART Ticketing kiosks are available in indoor/outdoor options, with different specifications applied to outdoor machines that require a more robust construction.